Set beside our picturesque vineyard, we’ve created the perfect spot to sit back in the sunshine with a glass of Ridgeview and enjoy the stunning view of the captivating ridge from which we get our name. 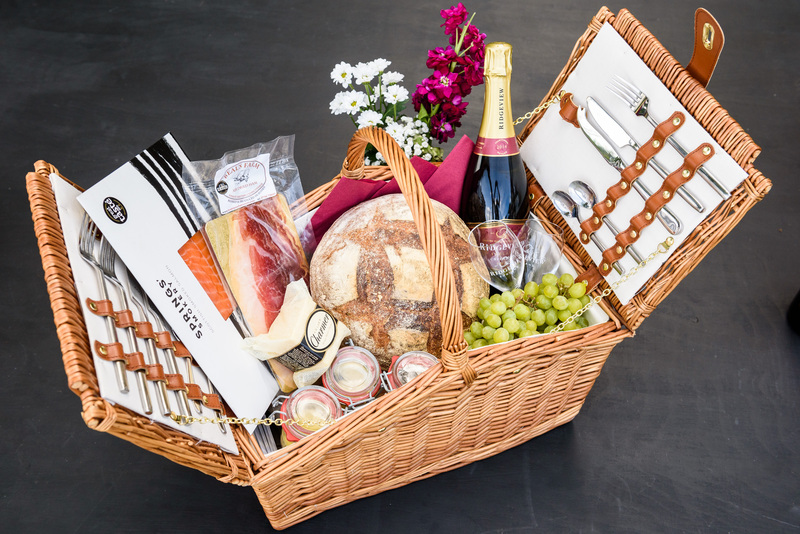 Throughout the summer we’ll be serving up gorgeous hampers filled with the best local produce, including Sussex charcuterie, Springs’ Smoked Salmon, High Weald Dairy cheeses and Sussex Best bread. Ridgeview sparkling wines will be available to enjoy by the bottle or glass, with Folkington juices for the little ones (or designated driver!). Please note: Hampers to be enjoyed in the Ridgeview Wine Garden only. Only food purchased from Ridgeview Cellar Door to be consumed in the Wine Garden. In the case of adverse weather conditions the Wine Garden may be closed, hampers cannot be eaten inside and so a full refund will be given.